A number of studies have reported the evidence of cognitive deficits in adult bipolar patients. Recently, there has been a shift in research on neurocognitive performance in bipolar disorder (BD) towards examining younger age groups. A review of the literature on neurocognitive impairments in BD in childhood and adolescence was conducted. We searched systematically for studies in samples of age groups younger than 18 years of age in average that included either a healthy control group or normative data for the cognitive tests used. Twenty-one original articles were found and reviewed. Children and adolescents with BD show deficits in a variety of cognitive areas. The most consistent results were found for impairments in verbal memory. A majority of studies also indicated impairments in working memory. 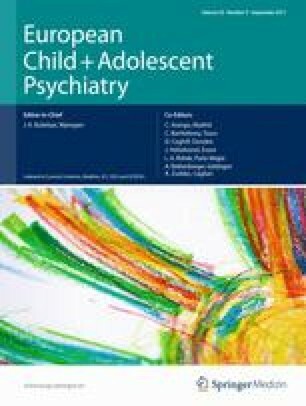 Similar pattern of neurocognitive impairment was found in children and adolescents as compared to adults suffering from BD. The neurocognitive deficits need to be recognized and incorporated into individual treatment programs. The author would like to thank Colleen M. Schmitz and Douglas A. Orsini for their help with the manuscript. Karin Horn: has no conflicts of interest to disclose. Veit Roessner: has received lecture fees from Eli Lilly, Janssen-Cilag, Medice, Novartis; was member of advisory boards of Eli Lilly, Novartis. Martin Holtmann: has received speaker bench fees from Lilly, Astra Zeneca, Novartis, Shire, Bristol-Myers Squibb and Neuroconn; was member of advisory boards of Lilly, Novartis and Bristol-Myers Squibb and consultancy of Astra Zeneca; has received a research grant from German Research Federation.